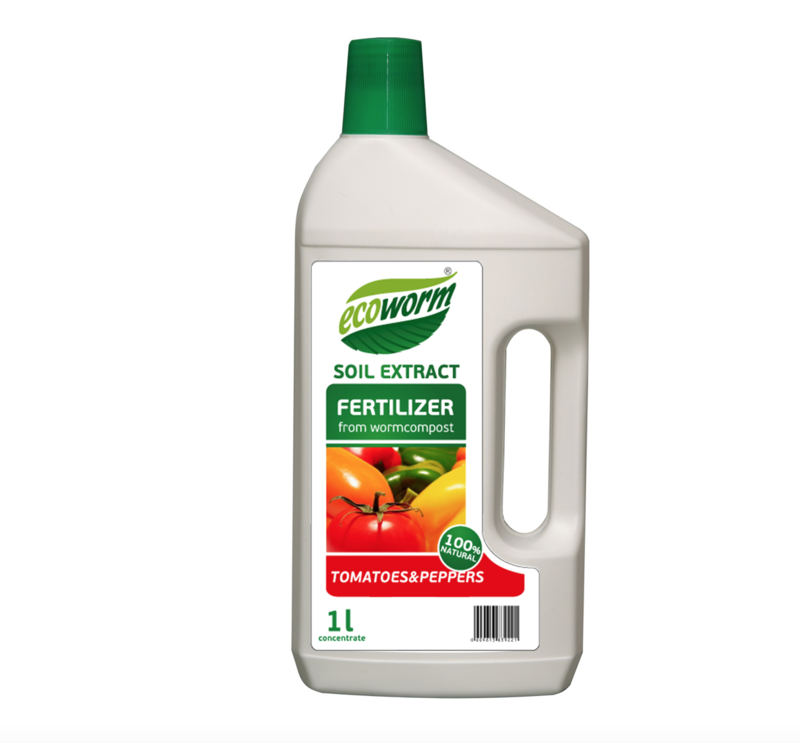 Soil Extract for Tomatoes & Peppers is specially formulated to stimulate high quality plant and fruit growth for all tomato and pepper plants in the greenhouse. Soil Extract is a 100% natural humic fertiliser made from vermicompost. The concentrated extract contains a full complex of humic, fulvic and amino acids with macro and micro elements, soil antibiotics, phyto-vitamins and micro-organisms for easy plant absorption. Replanting: 1 cap (25ml) in 1 litres of water.Dilute Soil Extract with lukewarm water (15-25 degrees C).